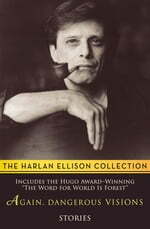 Piers Anthony is one of the world's most popular fantasy authors and a New York Times bestseller twenty-one times over. His Xanth novels, including Jumper Cable and Knot Gneiss, have been read and loved by millions of readers around the world. In addition to his bestselling Xanth books, Anthony is the author of a series of historical fantasies called The Geodyssey, that makes the broad sweep of human history into very personal stories. Piers Anthony has devoted fan following, and he daily receives hundreds of letters and emails from them. Piers Anthony lives in Inverness, Florida. 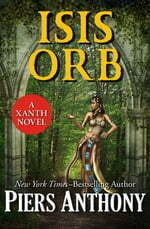 Orb, the daughter of Niobe, is chosen to become the Incarnation of Nature but finds herself drawn to a mysterious man called Natasha--who may be the embodiment of Evil. Dor, heir to the throne of Xanth, must rescue King Trent, who has vanished on a trip to non-magical Mundania.